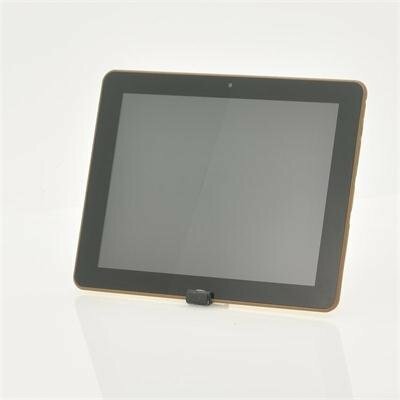 Successfully Added Android 4.1 Quad Core Tablet "Copper" - 9.7 Inch, 1.5GHz, 2GB RAM, 8GB Memory, HDMI, 4K Video to your Shopping Cart. 9.7 Inch Android 4.1 Tablet PC rocking a 1.5GHz Quad Core CPU, 2GB of RAM, 8GB of internal memory, an HDMI port and much more. Experience the power of Quad Core today at an incredible low wholesale price thanks to the “Copper” Android 4.1 Tablet PC. Chinavasion’s latest large screen tablet is the 9.7 Inch Android Tablet known as “Copper”. Powered by the 1.5Ghz Quad Core Cortex A7 CPU and 2GB of RAM, the “Copper” can run every app without breaking a sweat and multitask at the speed of light. The “Copper” is so powerful that it even can playback 4K Ultra High Definition videos. Running on Android 4.1 Jelly Bean, you’ll have access to a whole world of multimedia, entertainment, music, videos, games and much more. Download any of more than 700.000 apps from the wealthy Google Play store and install them instantly on the “Copper” for endless entertainment. Designed to be as light and thin as possible, the “Copper” uses a mix of aluminum and plastic to obtain the best results. Connect the Android tablet directly to your TV using the built-in HDMI port and show your holiday pictures to your family on a big screen. On top of that, the “Copper” comes with 8GB of internal memory, which can be expanded with a MicroSD Card up to 32GB. This way, you’ll be able to store all you music, videos, pictures and apps in one place. Equipped with two cameras, snapping a quick picture can be done with the 2MP back facing camera while the front camera can be used to video chat with friends. 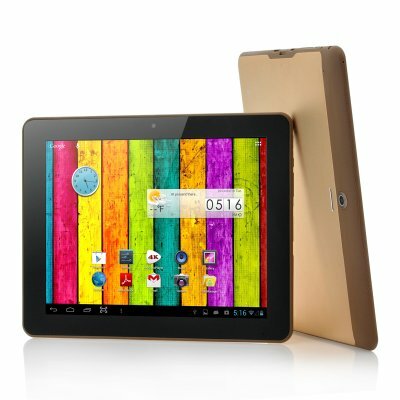 The “Copper” Android 4.1 Quad Core Tablet PC is now available in stock and ready for immediate shipping. Brought to you by the leaders in wholesale Android tablets and electronic devices, Chinavasion.